The Square Off is now on Kickstarter and appears to be attempting to bring a classic board game up to date with today’s technology. Square Off aims to allow people to play on a physical board remotely either against another human or computer by syncing up with their smartphone or tablet. Also, Square Off will eventually support other chess fans watching games in real-time, ultimately bringing a more communal aspect to chess, almost like playing Xbox Live. 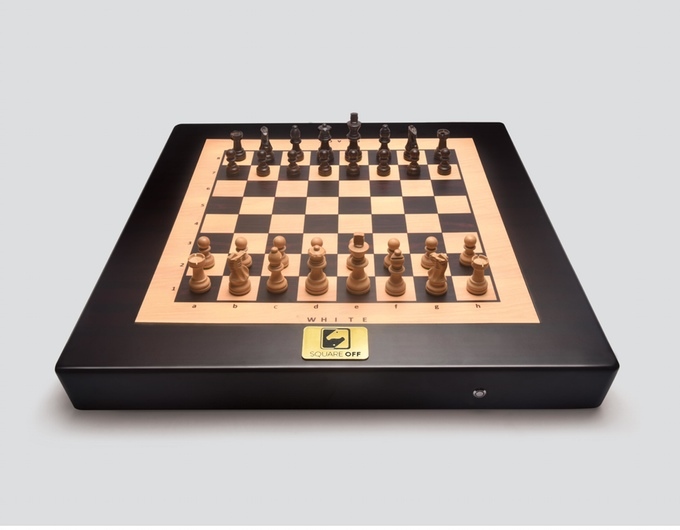 Upon taking an opponent’s piece, the board quickly and autonomously scoots the piece of the board to promote efficient play. All in all, the Square Off is an intriguing first product from InfiVention Technologies.